DR. JIM HEIRD IS EXECUTIVE PROFESSOR AND COORDINATOR OF THE EQUINE INITIATIVE AND HOLDER OF THE GLENN BLODGETT EQUINE CHAIR AT TEXAS A&amp;M UNIVERSITY. HE GRADUATED FROM THE UNIVERSITY OF TENNESSEE WITH A BS IN ANIMAL HUSBANDRY AND A MS IN ANIMAL GENETICS. HIS DOCTORATE IS IN EQUINE BEHAVIOR FROM TEXAS TECH.<br>HE WAS THE FIRST EXTENSION SPECIALIST AT NORTH CAROLINA STATE UNIVERSITY. HE WAS A FACULTY MEMBER AT TEXAS TECH UNIVERSITY FOR 10 YEARS AND AN ADMINISTRATOR AND FACULTY MEMBER AT COLORADO STATE UNIVERSITY FOR 23 YEARS. <br>DR. HEIRD RECEIVED THE USDA'S HONOR AWARD FOR EXCELLENCE, THE DISTINGUISHED ALUMNUS AWARD FROM THE DEPARTMENT OF ANIMAL SCIENCE AND THE OUTSTANDING ALUMNUS AWARD FROM THE UNIVERSITY OF TENNESSEE. HE IS AN HONORARY VICE PRESIDENT OF THE QUARTER HORSE ASSOCIATION OF URUGUAY. HE IS THE FIRST RECIPIENT OF THE DR. GLENN BLODGETT EQUINE CHAIR AT TEXAS A&amp;M.<br>DR. HEIRD HAS COMBINED HIS ACADEMIC CAREER WITH LEADERSHIP AND SUCCESSFUL COMPETITION IN THE HORSE INDUSTRIES. HE HAS TRAINED WORLD CHAMPION YOUTH RIDERS AND HORSES. AS AN AMERICAN QUARTER HORSE JUDGE, HE JUDGED 13 WORLD CHAMPIONSHIP SHOWS AND 15 NATIONAL SHOWS IN MULTIPLE COUNTRIES. 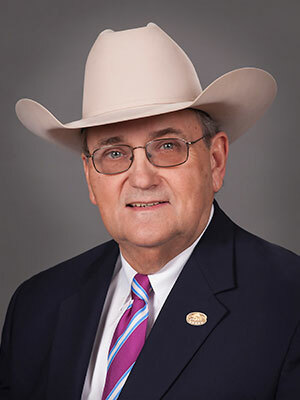 HE IS A PAST CHAIRMAN OF AQHA'S JUDGE'S COMMITTEE, THE VERSATILITY RANCH HORSE SUB-COMMITTEE, THE AQHA SHOW COMMITTEE AND THE INTERNATIONAL COMMITTEE, AND SERVED AS THE FIRST CHAIRPERSON OF THE AQHA WELFARE COMMISSION. <br>PRESENTLY, HE IS SECOND VICE PRESIDENT OF THE AQHA EXECUTIVE COMMITTEE. IN 3 YEARS HE WILL SERVE AS PRESIDENT OF AQHA, THE WORLD'S LARGEST BREED ASSOCIATION. This presentation will cover the responsibility that owners, trainers and veterinarians have in protecting the horse and horse industry through positive leadership. An overview of today's culture will be presented that incorporates data on industry participation and perceptions by non-owners and former owners. Animal welfare role models exist in the horse industry that can be emulated as we move forward with an agenda that protects our horses, our industry and the people who make a living in our industry. 2. Educate audience on today's culture including public perception, legislative climate, etc.